Atlas Shrugged: Part II is an upcoming film based on the novel Atlas Shrugged by Ayn Rand. 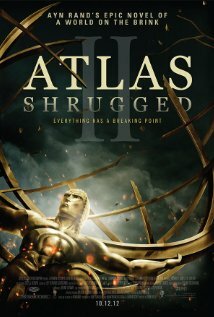 It is a sequel to the 2011 film Atlas Shrugged: Part I, continuing the story where its predecessor left off. It was announced on the film's Facebook page on July 4, 2012 that the film is slated for an October 12, 2012 release.